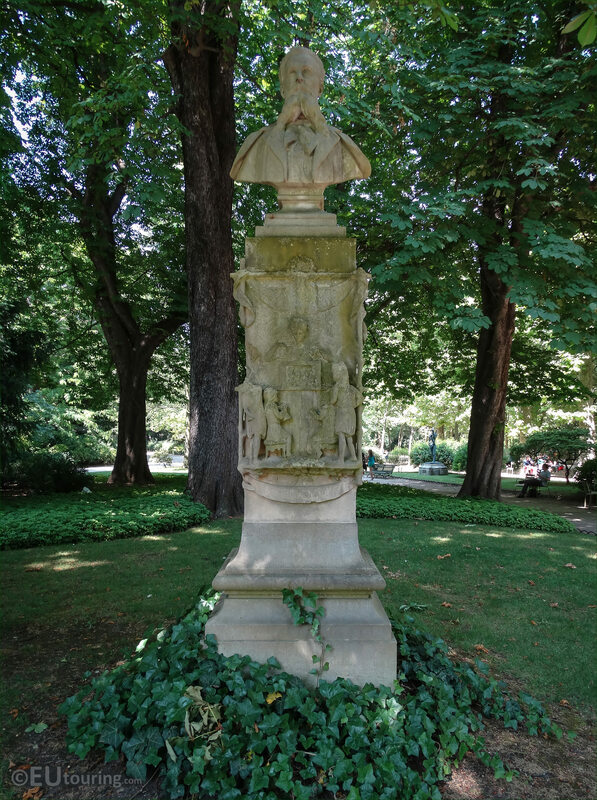 This time while we were in the Jardin du Luxembourg in the 6th Arrondissement of Paris, we took these high definition photos of a monumental statue dedicated to Louis Ratisbonne, which was produced by Emile Soldi. So this first HD photo shows the full statue, which was designed as a monument to the writer Louis Ratisbonne, and at a total height of 3.43 metres, the main column is made of stone, but the bust is made of marble and is in itself a height of 0.82 metres. 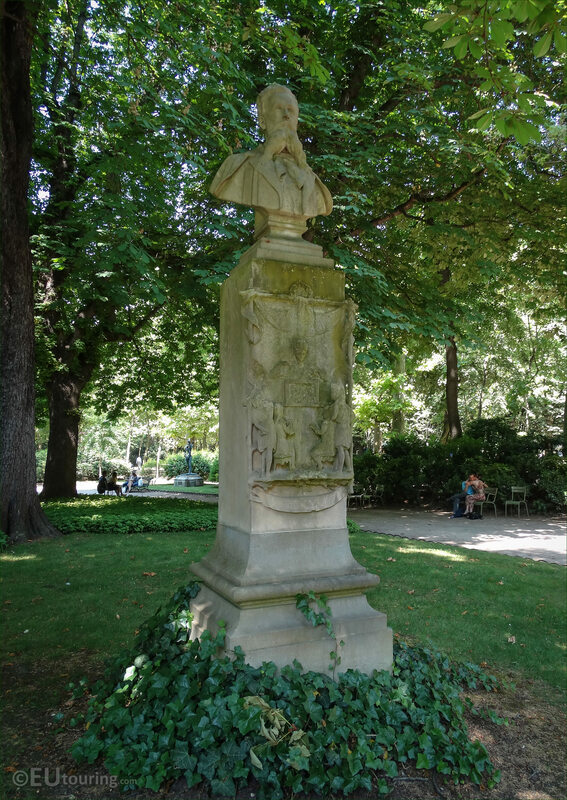 Now this next image shows a close up of the marble bust, which depicts Louis Ratisbonne, who was born in Strasbourg on 29th July 1827, and became what is known as a French man of letters, and his most important work was a verse translation of The Divine Comedy, yet he also wrote some incredible fables and verses specifically designed for children. 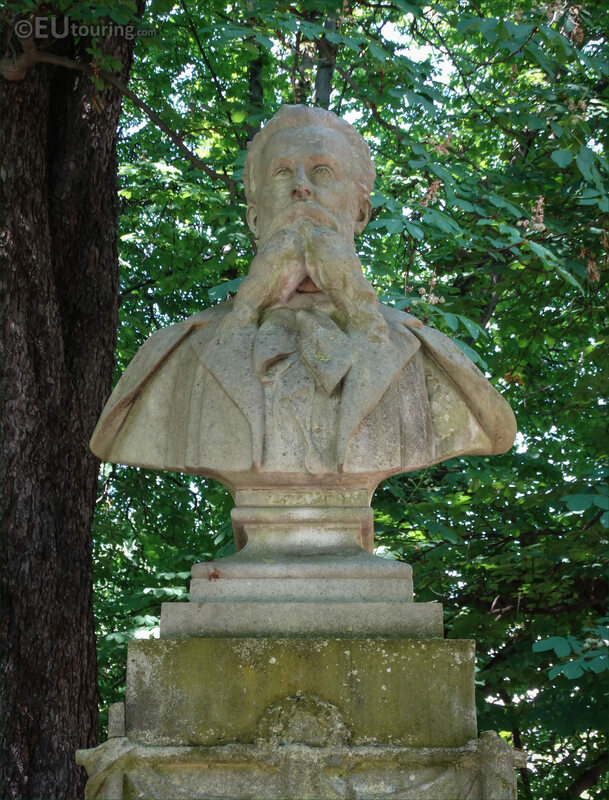 And in 1871 Louis Ratisbonne became the librarian at the Fontainebleau, yet after three years he became the librarian for the French Senate at the Palais du Luxembourg, which is located within the grounds of the Luxembourg Gardens where you can see this statue. 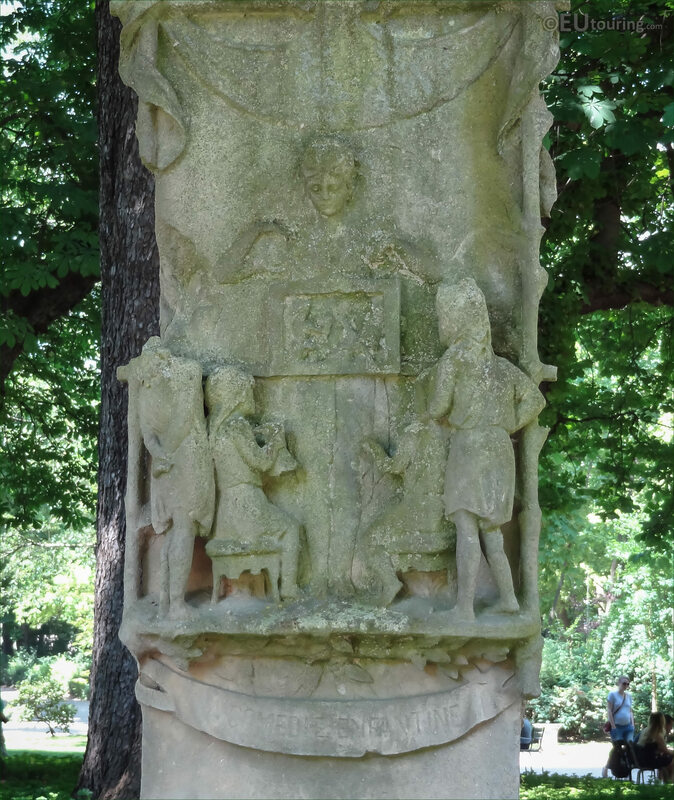 So this close up HD photo shows the sculpturing on the column, or pedestal of the Ratisbonne monument, which was designed by Emile Soldi to depict children discovering the fables and verses that Louis Gustave Fortune Ratisbonne wrote. 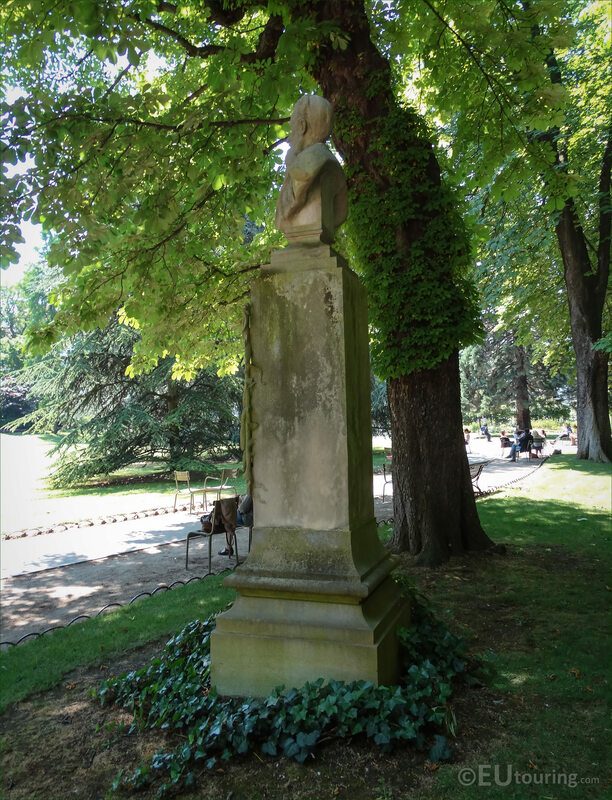 However, the statue and monument must have been produced before 1906, which is the year that the sculptor Emile Soldi passed away, as it was not until a decision was made on 28th November 1911, that the monumental statue was put within the Jardin du Luxembourg. 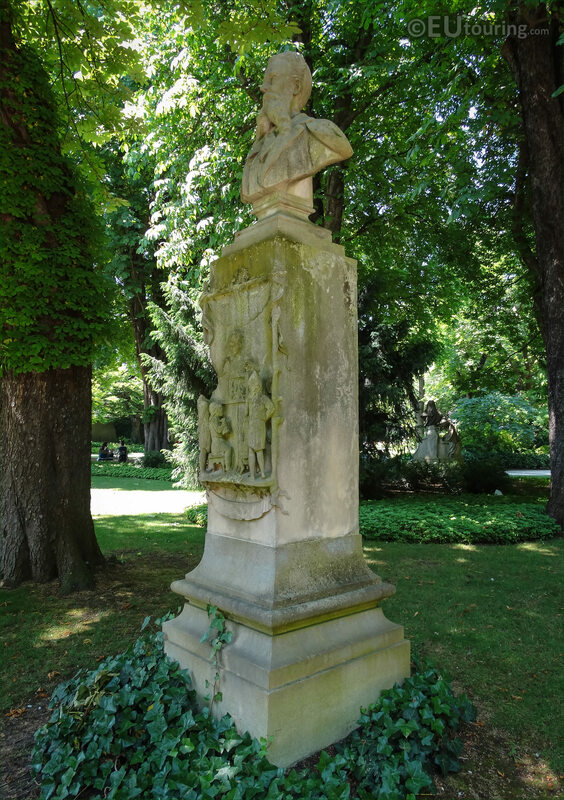 And in this last photograph you can see a side view of the monument dedicated to Ratisbonne, which as we mentioned before, was sculpted by Emile Arthur Soldi who was born in Paris in 1846 and becoming a French sculptor, engraver medallist and writer he passed away in 1906 in Rome.